Wouldn’t it be cool to actually have a virtual personal assistant that you could talk to and stuff like Tony Stark does with J.A.R.V.I.S.? It would be so awesome! I’d be like “JARVIS, take a picture of me being cool” and then I’d be like “JARVIS, make me a ham sandwich” and then JARVIS would be like “Dude, you’re being too bossy” and then I’d apologize because its not cool to be rude… Anyhow, anyone familiar with McLaren knows that they have their hands on far more things than just motorsports. McLaren really is an all around technology firm and have created cutting edge solutions for various industries from medical to commerce. 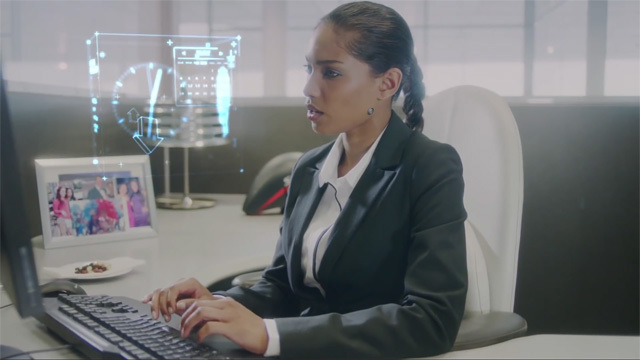 In a video that they released a while back they envision a future where all of their McLaren applied tech would combine into one crazy-slick JARVIS-like personal assistant as demonstrated by this vigorous young go-getter type-A woman featured in the clip. The fictional (for now) device featured would pretty much work like an ECU for the human body. It would monitor the wearers bio-telemetry and sync that with all other aspects of the user’s life (work, schedule, weather, etc).